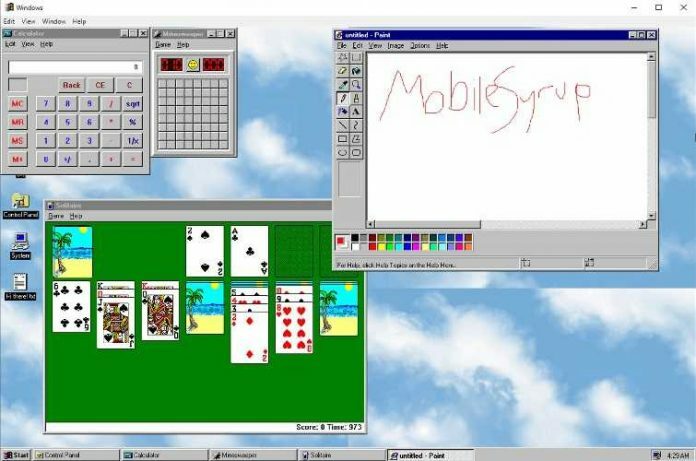 Back in August 1998, Felix Rieseberg, a software engineer at Slack, had released a Windows 95 app for Windows, macOS, and Linux, to let users experience the era of Windows 95. He created the desktop app using Electron, a cross-platform application framework that uses web technologies. This time around its developer, Rieseberg has released a major upgrade to its third-party program, Windows 95 app with required improvements. The version 2 of the Windows 95 app now comes pre-installed with Microsoft FrontPage, Netscape 2.0, and FrontPage Server. It also has a completely new Windows 95 disk image. In the changelog, the developer notes that the Windows 95 app v2 also brings support for sound, which means you can now hear all the familiar Windows 95 sound effects. It also offers better support for High-DPI devices that were unavailable in the first version. Furthermore, it comes with some pre-installed retro games like Doom, Wolfenstein3D, A10 Tank Killer, and Grand Prix Circuit. If you are interested, you can visit the GitHub Page to download and install the Windows 95 app for Windows, Mac or Linux.